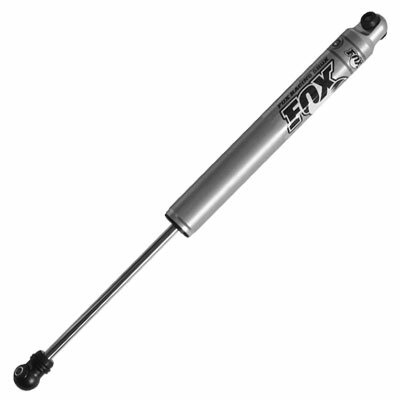 Fox 2.0 IFP shocks front and rear, for a softer and more controlled ride, or upgrade to one of our other shock packages if you need better performance. 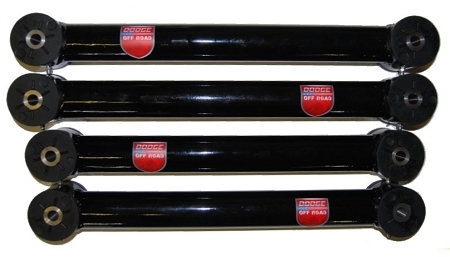 DOR's adjustable track bar, made from 1.5" OD DOM steel tubing with a 7/8" FK heim at the axle and a greaseable and rebuildable Johnny Joint at the frame, so you can center your axle and enjoy increased suspension movement. DOR 1" lift shackle for your rear suspension to give you a little extra height without the use of blocks or stiff mini-packs. You can also add 1.25" OD end links with 3/4" chromoly heims, although they are not necessary for a 3" lift height, but they are a great upgrade if your stock end links are worn out. Compare our kit to other 3" kits and you'll notice that many don't include upper and lower short arms; we include these on all kits because the axle does get pulled back with a 3" lift and creates an unstable feeling in the steering, plus you have less tire clearance than you really should have. 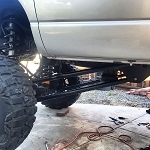 The whole point of lifting the truck is to fit larger tires, so we like to move the axle forward just 1/2" and give you that extra room to fit 35" or 37" tires (depending on your wheel setup). 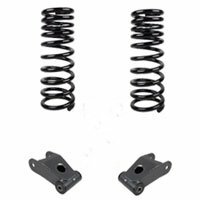 This setup will provide your 2010 - 2012 Ram 2500/3500 4x4 truck with 3" lift up front, 1" lift in the rear, a level stance, a much softer ride than stock, and room for 35" or 37" tires. We only use the highest quality parts, no coil spacers or drop brackets or blocks, so you can install this suspension and enjoy it. 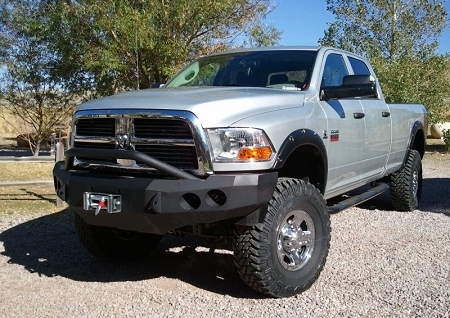 This kit also fits the 2013 Ram 2500 4x4 trucks. We also offer the option to upgrade to our Extreme long arm kit, which is designed to work with 3" suspension lift. This option will add an extra 2 to 3 weeks to the build time in most cases.